So yesterday hubby told me we could share our news with the world so after telling friends and family about it I decided to share it with my readers. I do still plan to do Homemade Christmas part 2, but I have to share this. I am pregnant! I will be 6 weeks on Sunday. Due September 1st 2013. Now with this news, which comes to us so happily since Bug will be 4 this year. We really wanted this baby as you all know. Anyway with this news comes questions such as what did I learn with Bug that I can do again with this baby or not. So with it comes goals to make myself. The first of these is to pass the 9 months I breastfed Bug and hopefully make it to 24 months. We are of course using cloth again. Co sleeping from day one to 12 months. The one big change is this time no crib at all. I will never put one of my babies in a crib again. This time we will again ebf to 6 months before starting food. 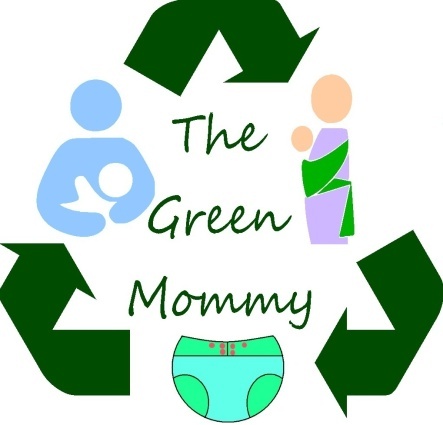 I think this time though we will do the same as we did with Bug, we both made pureed homemade organic baby food as well as doing Baby Lead Weaning, with is just the act off letting baby try food you eat cut up small. Bug was doing a mix of this from the first day with solids and it seemed to really work for us. He was fully on solid big people food by 9 months. This time though I am going to not worry about potty training so much. Bug showed readiness as early as 11 months but it didn't stick until 30 months, so with this one I think the earliest we will try potty training is 18-24 months. We are using most of the clothes we saved from Bug which were mostly unisex. We will be reusing the high chair/booster, reusing the excersaucer, pack and play, toys, rattles...ect. The only new things we need are a few more diapers, new bottles, a good breastpump since I will be returning to work immediately after my maternity leave is up, and a new swing. Can you can I am excited? 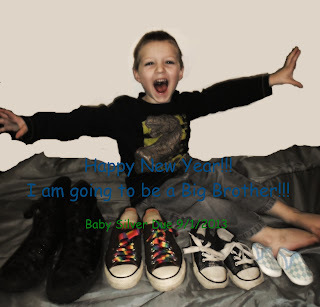 Well I will leave you all with the picture I used to tell our big news.